This evening I caught myself actually flirting with my husband over the phone. How in the world did I get that kid to marry me anyway? 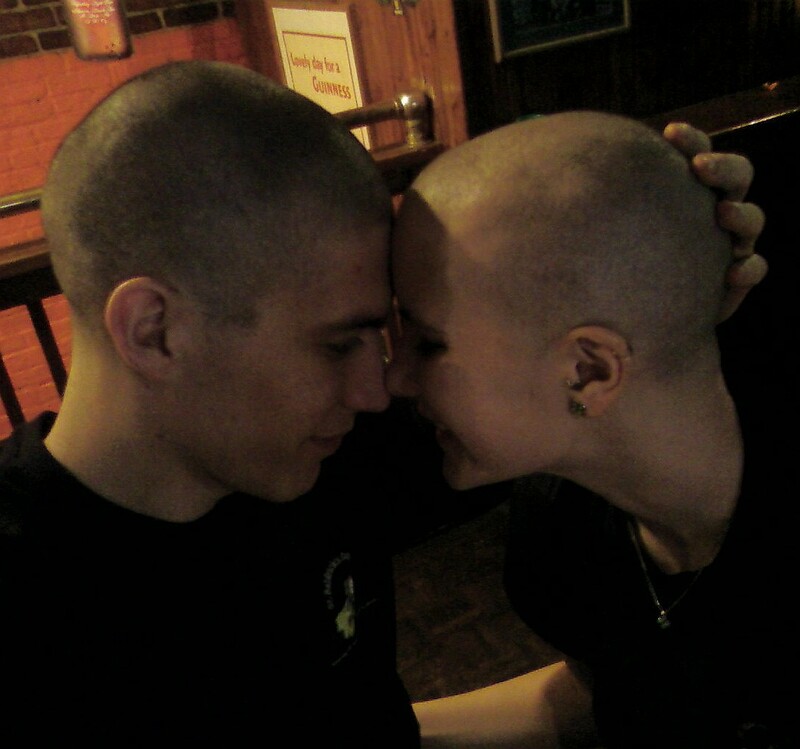 Did I ever tell you that we shaved our heads a few years ago? What a fun experience! 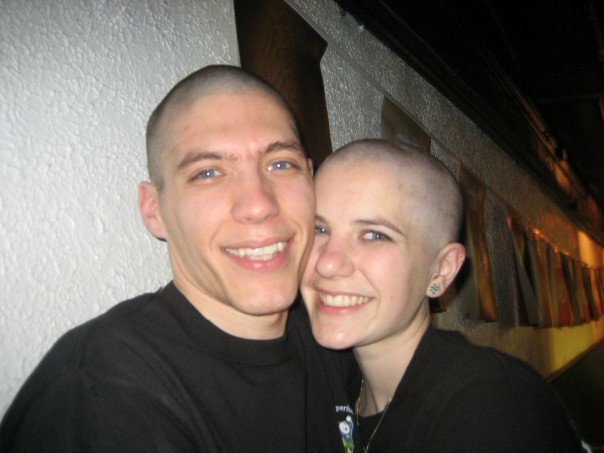 If you ever have the desire to feel the wind on your bare scalp, consider going bald with the St. Baldrick’s Foundation. 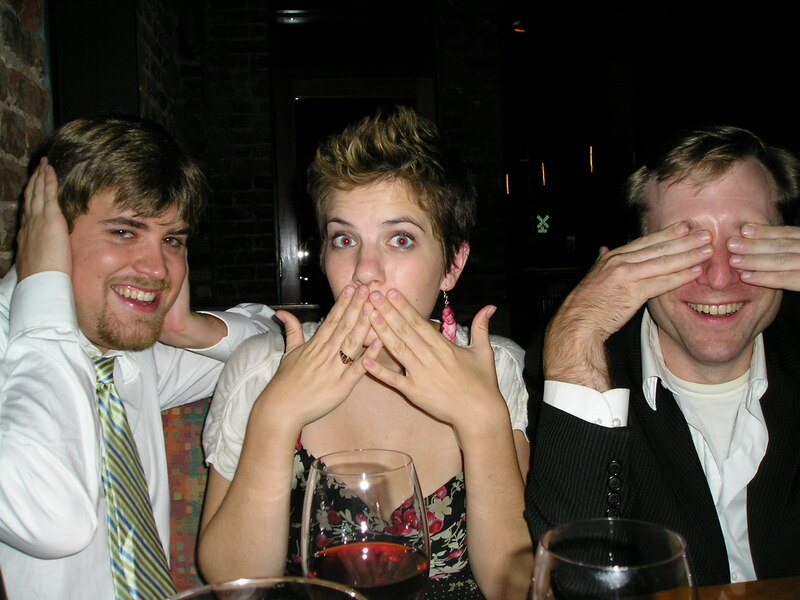 We were cute, no? It was the growing out part that got a bit rough. Months 4-8 post-shave, I looked like chia pet. JK – but I’m so glad I found your blog!